WTF. Text all gone. So, short explanation. 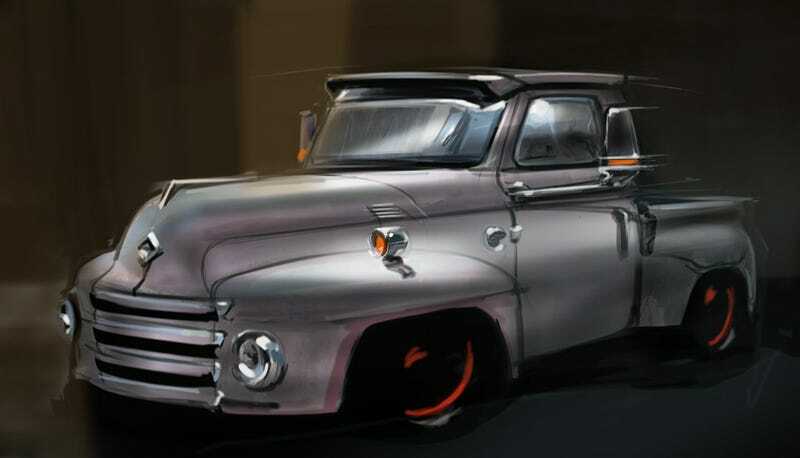 Coty's awesome truck, sloppy sketch based on dirty photoshop, I took off the sills all around, kept the ride height, polished up the awesome light thingy on the fender, added a visor, and awesome new mirrors.